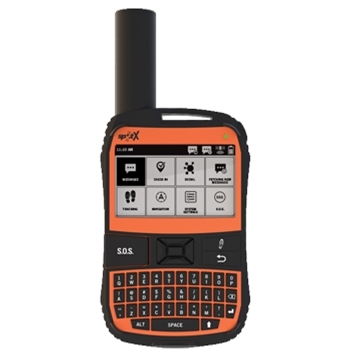 The SPOT X 2-Way Satellite Messenger is a convenient keypad controlled handheld device that makes communicating with family and friends, getting help when in need and posting to social media accounts simple, easy and fast. 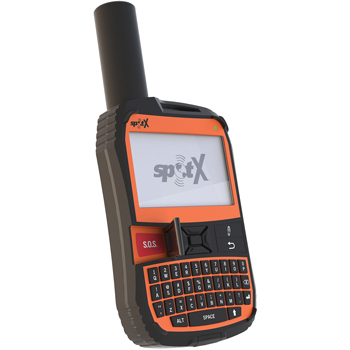 2-Way Communication Through Satellite with SPOT! 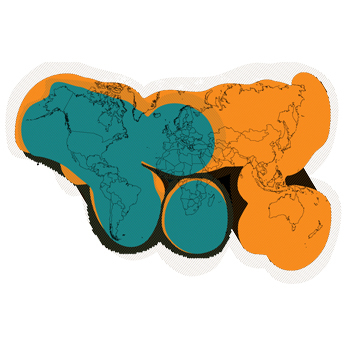 Grab the Spot X 2 Way-Satellite Messenger and stay connected to family and friends from almost anywhere on the globe - even outside of cellular coverage! Exchange text messages, emails and more from wherever your adventures take you. The SPOT X features a lightweight, impact resistant, dust proof and waterproof (IP67) design with a 2.7-inch display and full QWERTY keyboard. Add up to 70 contacts and contact groups inclusive of mobile phone numbers and email addresses. Add these contacts manually or through your SPOT My Account page using the SPOT X Firmware Updater. Safety is at the forefront of the SPOT X. Check in quickly to let family and friends know your whereabouts and that you are OK. Want to share your exact location with your contacts? Simply click the elevation icon or the GPS icon in the messaging interface to send this information to one of your contacts or a contacts group. Don’t have time to draft lengthy messages? Select from one of up to 14 preprogrammed messages by selecting a simple icon. The S.O.S. feature allows for quick access to the 24/7 Search and Rescue center in order to get help when in a crisis situation. Text message back and forth with emergency responders so that they know the nature of your emergency, get expected arrival times and more. Get social while on the move. Link your Facebook and Twitter accounts through your SPOT My Account portal and post 140-character updates to your accounts at any time. Quick check-ins are a great way to provide peace of mind to loved ones. Check In messages will include a link to Google Maps showing the SPOT X device’s location. Check-In’s are sent with the simple touch of the Check-In Icon to a pre-set contact list. Share your location in real time via the SPOT X tracking feature. Using the SPOT Share Page integrated with Google Maps, family can view a virtual breadcrumb trail of your travels. Select a tracking interval ranging from 2.5 minutes (high battery usage) to 60 minutes (low battery usage). Navigate to programmable waypoints with the help from the built-in compass. The SPOT X Compass screen provides a wide range of stats including location, distance to destination, heading, bearing, course, elevation and speed. Simply select the waypoint you want to navigate towards and begin your adventure. Features dependent on the service plan selected. Click here for all the subscription details. SPOT Gen3 is a compact and affordable satellite communicator. With its rugged waterproof design the SPOT Gen3 can go anywhere you go and keep you connected to your friends and family. The Spot Trace GPS Tracking Device offers affordable anti-theft protection for all of your gear. Using 100% satellite technology you can receive email or text when your assets move, even outside of cellular coverage.